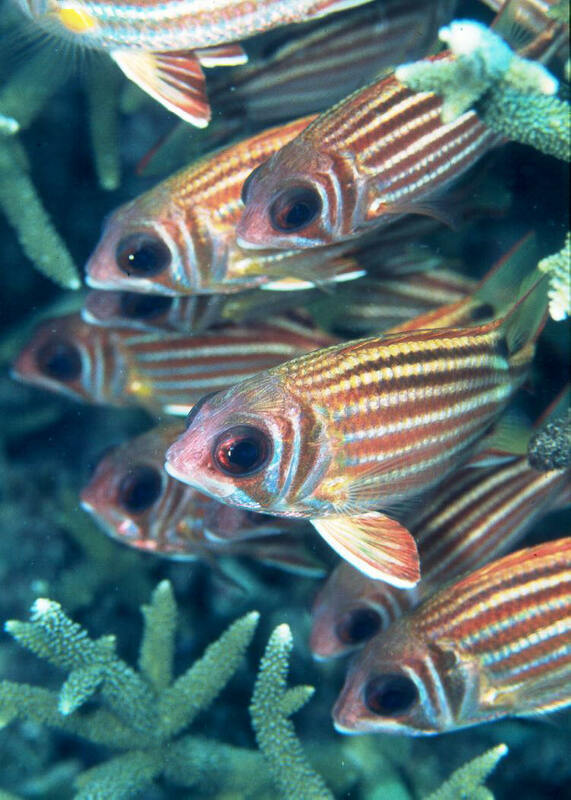 Neoniphon marianus (Cuvier 1829), the Longjaw Squirrelfish. Tropical West Atlantic. To seven inches in length. Distinctive yellow body lines. This one in Jamaica. Sargocentron rubrum (Forsskal 1775), the Redcoat. Indo-West Pacific, including the Red Sea. To eleven inches in length. These ones off of Heron Island, Great Barrier Reef, Australia. Sargocentron violaceum (Bleeker 1853), the Violet Indo-Pacific; Aldabra to S. Japan, GBR, Micronesia. To 45 cm. in length. Live in and about caves, singly by day, Feed by night on crustaceans and polychaetes. Sulawesi pic. 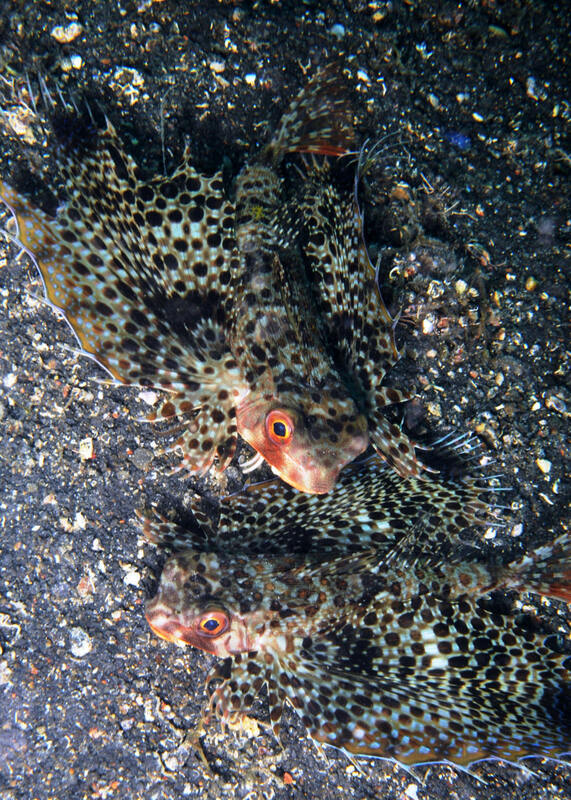 Dactyloptena orientalis (Cuvier 1829), the Oriental Flying Gurnard. Indo-Pacific; Red Sea, East Africa to Hawai'i, Tuamotus, Marquesas. To 40 cm. Demersal; lives on shallow sandy bottoms. Only member of genus found on oceanic islands. N. Sulawesi image.